How Much Does Barnes & Noble Pay? 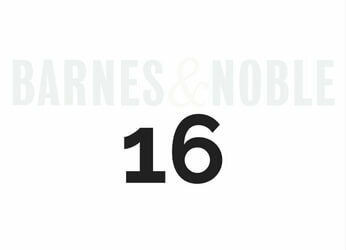 How Old to Work at Barnes & Noble? Ready to start a new chapter in your life? The innovation, passion and potential involved with Barnes & Noble careers could be just what you need. As a renowned bookseller, Barnes & Noble are passionate about books, authors, and popular culture. They keep on top of the latest trends. Engaging the local community is a core aspect of Barnes & Noble business, with around 100,000 events hosted every year. A career at Barnes & Noble could be much more than simply working in a book store. There’s a range of roles available across their stores, cafes, corporate and distribution centers, each of which offers excellent benefits and a great working environment. If you want to work at Barnes & Noble, some of the jobs you may be interested in include Barista/Café Server, Bookseller, Community Business Coordinator, Head Cashier, Store Manager and Pricing Analyst. Like many employers in this digital age, Barnes & Noble has made it very convenient to apply for your next job or career. All you need to do is visit the careers section of their website, decide what locations and roles you’re interested in, and complete an online application form. If you’re a regular visitor to your local Barnes & Noble, you can also inquire in store. Some of the current vacancies across the Barnes & Noble network include Barista/Café Server, Bookseller and a range of manager-level jobs, with some of the most popular detailed below. Facing customers throughout your shift means that, as a Barista/Café Server, you’ll play an important role in delivering outstanding customer service. You’ll have a passion for upholding Barnes & Noble’s four core service principles: providing timely and friendly café service, upselling, maintaining product presentation standards, and maintaining café cleanliness. Some of the tasks you’ll take on include, of course, providing world-class customer service, as well as preparing and serving food and drinks, baking, cleaning, and assisting elsewhere in the store when required. A strong candidate for this role should be flexible with their working hours, capable of working computers and cash registers, and able to work on their feet for entire shifts. Barnes & Noble’s business is more than just selling books, but the role of bookseller remains an essential one. You should have a passion for both books and outstanding service. Barnes & Noble have four core service principles for each of their retail jobs and, for booksellers, these are: put the book in the customer’s hand, offer to order, offer the Member Program, and fast cashiering. You’ll be expected to act with integrity and trust at all times, and do your best to identify customers’ needs and how you, and Barnes & Noble, can help. To be a great bookseller, you should be able to easily speak to people, have an interest in and knowledge about books, and be comfortable with multi-tasking. Not all essential retail work is done on the store floor, and this Community Business Coordinator is a good example of the behind-the-scenes work that makes Barnes & Noble so successful. In this job, you’ll be responsible for administrative support of the business development program, as well as the logistics of various in-store events. These invents may include author promotions, educational events and more. You’ll also need to make sure all event-related marketing materials arrive, and that the relevant stock is in-store on the day of the event. You will need strong organizational and communication skills, both written and verbal, for a Barnes & Noble Community Business Coordinator. You’ll also need previous experience in at least one of the following industries: retail sales, education, event planning, marketing or PR. Maintenance Clerks need to keep the store in tip-top condition. They enhance the customer experience. They also enable those in customer-facing roles to provide world-class service. This entry-level job involves opening and closing duties, painting, changing light bulbs and similar maintenance-related tasks. You do not need experience. However, you must be fit to work in a physically-demanding job and be open to flexible working hours. Aside from the latest books, author events and community relationships, Barnes & Noble are passionate about serving only excellent food to customers choosing to dine in their restaurants. As restaurant cook, you will plan, prepare and cook customer orders. You will make sure to comply with plating specifications and other service guidelines always. Acknowledging all guests, no matter how busy you are, is essential. Strict following of cleanliness and hygiene rules is also of utmost importance. To apply for this role, you should have two years’ experience as a cook, a State food handling certificate, a good understanding of written and spoken English, and a positive attitude. Barnes & Noble have various manager-level opportunities available to those looking to further their retail career, with vacancies currently open in retail stores, corporate office, and distribution center roles. Barnes & Noble are currently seeking several Café Managers to take responsibility for daily café operations, leading by example and delivering excellence in all areas. The Café Manager is also responsible for hiring servers. If you’re motivated by a love for marketing, you may be a good match for the role of Community Business Development Manager. This involves working with corporations, schools, institutions and other organizations to generate sales and strengthen Barnes & Noble’s reputation. Within the distribution center, the Loss Prevention & Safety Manager leads the effort to minimize loss from Barnes & Noble’s retail network, supporting all inventory control, safety programs and similar initiatives. 5 years’ comparable experience plus a Bachelor’s degree is preferred. Details of all Barnes & Noble manager careers can be found on their careers website. How Much Does Barnes & Noble Pay (Hourly & Salary)? Barnes & Noble offer a good rate of pay, as well as an excellent benefits package including medical and dental plans, 401(k) retirement plans, and paid vacation. Hourly rates at Barnes & Noble start at around $9.32 for a barista/café server, rising to around $72,719 annual salary for a store manager. For comparison, Walmart pay sales associates an average of $9.41, while a Kroger courtesy clerk earns around $7.89 an hour. How Old Do You Have to Be to Work at Barnes & Noble? Barnes & Noble hires people starting at 16 for some positions, although manager and specialized roles may have different requirements. Does Barnes & Noble Drug Test? Barnes & Noble does not always drug test during the recruitment process, but may randomly test employees from time to time. Secured an interview at Barnes & Noble? Congratulations! Here are some possible questions you should prepare to answer. Read on for tips to help you progress. 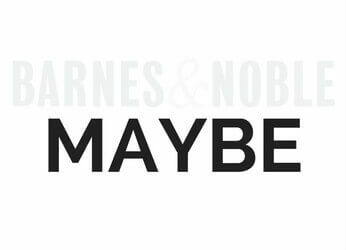 Why do you want to work for Barnes & Noble? This is a standard interview question for most jobs and careers. So a poor answer won’t go down well. When it comes to working in retail, a passion for excellent customer service is a must. For Barnes & Noble, a thirst for knowledge and reading will help. If you have a story about a great experience as a Barnes & Noble customer, even better. Let them know that you’d like to give other customers the same memories. This can be a horrible question if you have not prepared for it. The surprise together with interview nerves isn’t a great combination. Familiarize yourself with the store layout. Have a description of an item in mind. Then, go straight there if the question comes up. If they choose the item for you, just have fun. The purpose of this question is so you can demonstrate that you can think on the spot and deal with questions. They’re not scoring you on your storytelling. It can be tempting to name something intellectual as your favorite book to make a good impression. However, that won’t work. The interviewer will see straight through you, and a few questions will make it even more obvious. Choose a book you really do like and can talk about. If you haven’t read an amazing book recently, make sure you know about a popular one. Do some online research at the very least. However, if you want to work as a Barnes & Noble bookseller, you really should have some excellent examples. You should wear professional, sensible clothes to your Barnes & Noble interview. Khakis, a button-down shirt, smart skirt or dress should all be fine. Make sure you tuck in and iron your clothes neatly, too. If you’re interviewing for a manager role, it’s generally advisable to wear a jacket and tie, or similarly smart attire.